Pre-Loaded 1RU Patch Panels and 2RU Patch Panels. 1U Patch Panels and 2U Patch Panels loaded with adapters with pigtails and splice sleeves. Loaded 1U Patch Panel Kits with pigtails from 6 ports to 36 ports in all connector types LC, LC APC, SC, SC APC, FC, FC APC, and ST and up to 72 ports with LC or LC APC. 2U Patch Panel Kits with pigtails from 6 ports to 72 ports in all connector types LC, LC APC, SC, SC APC, FC, FC APC, and ST and up to 144 ports with LC or LC APC. Available in Single Mode 9/125µm, Multimode 62.5/12µm, and Multimode 50/125µm OM3. 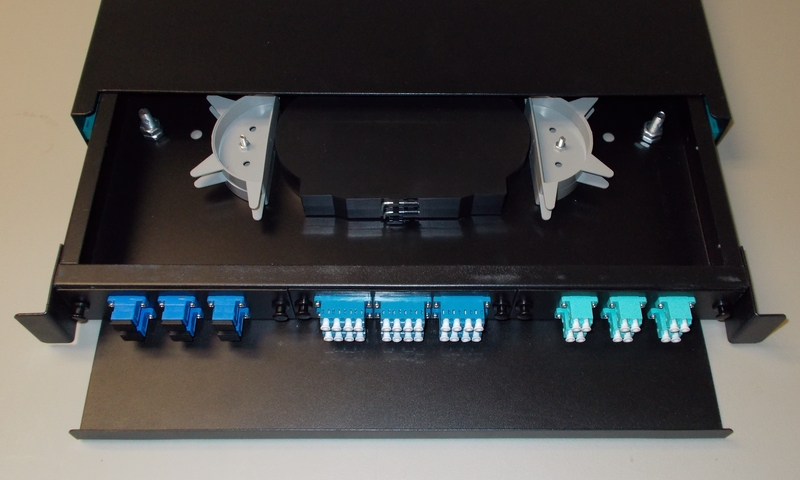 All kits include 1 1RU Fiber Patch Panel (or 2RU Fiber Patch Panel) loaded with adapter plates for connectors of your choice and splice trays to fit your fiber count needs, as well as fiber optic pigtails. All unused slots on the patch panel are loaded with blanks to protect the inside of the panel. 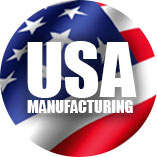 Call us about availability of custom configurations with mixed connector types for all your patch panel needs.